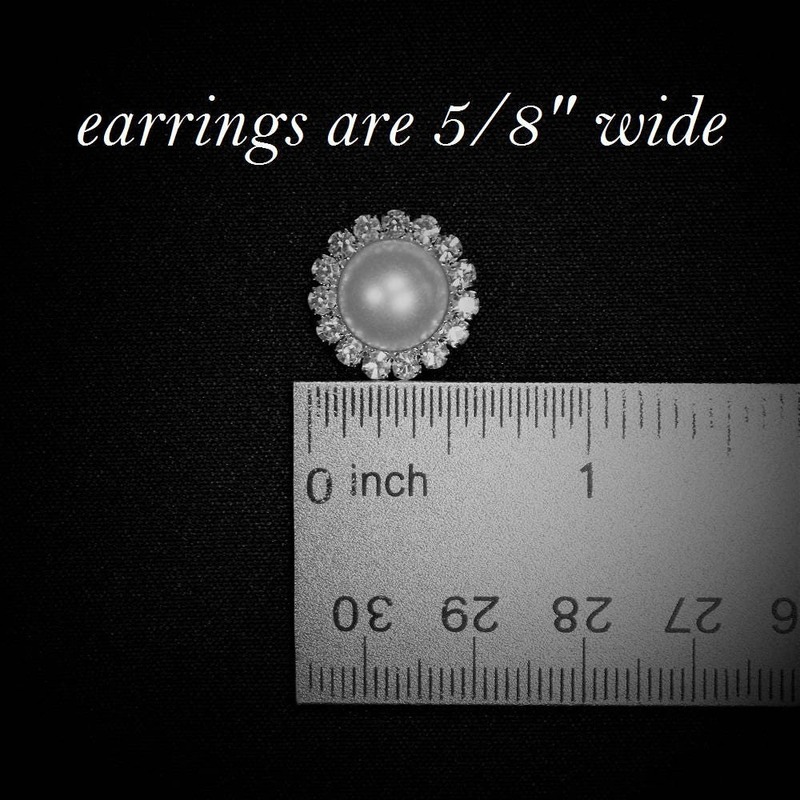 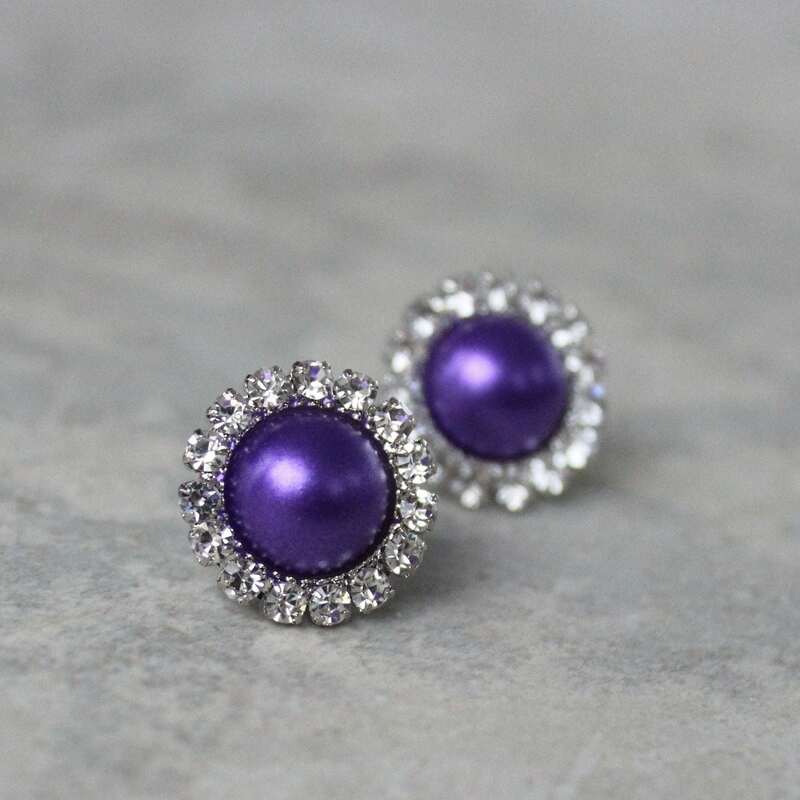 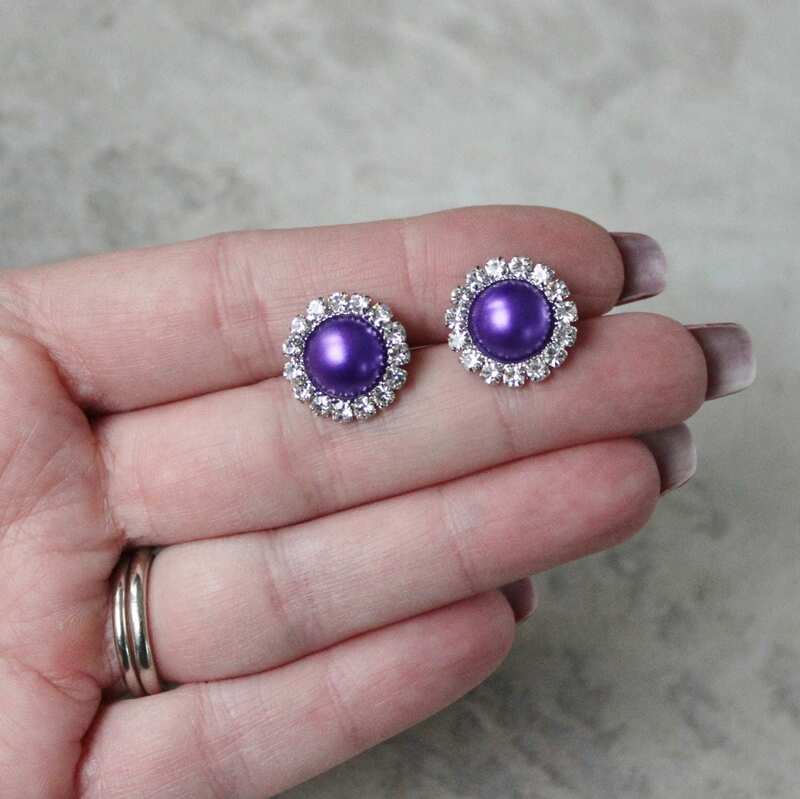 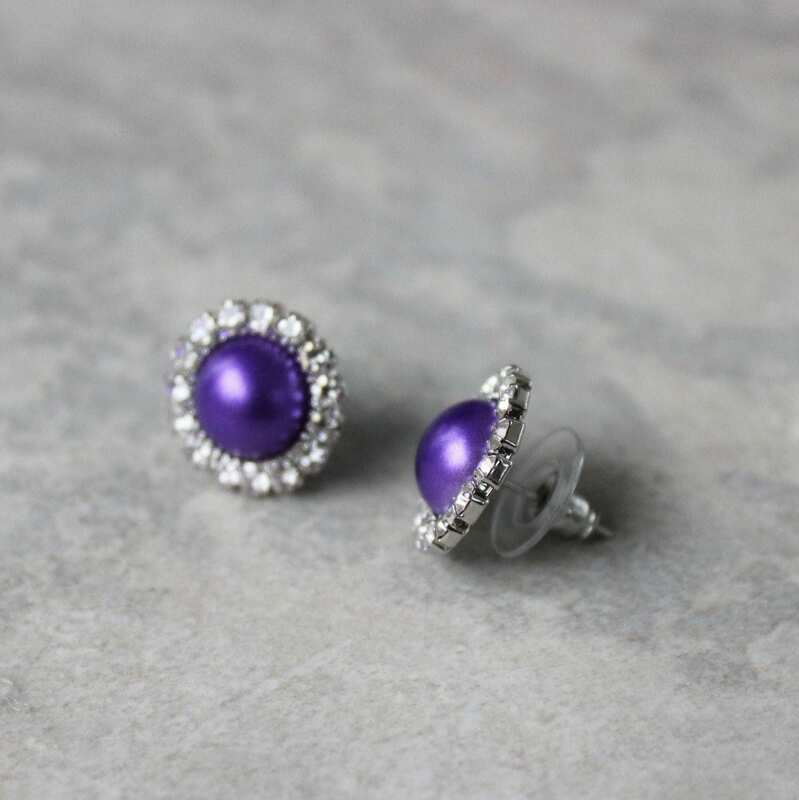 Shown in silver metal with purple pearls, these beautiful earrings are perfect for bridesmaids! 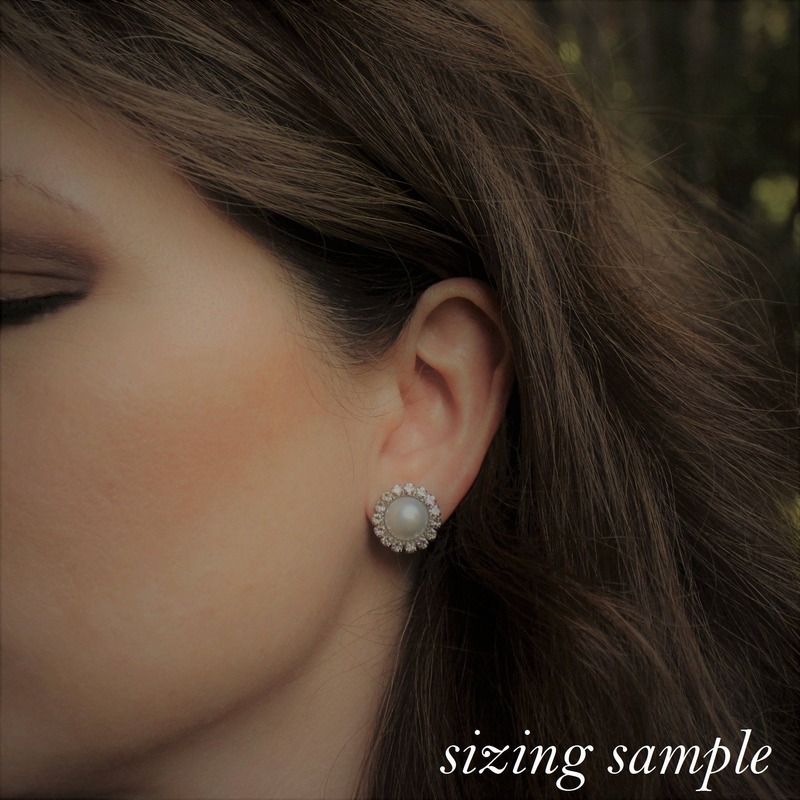 Choose from gold or silver metal for the crystal setting. 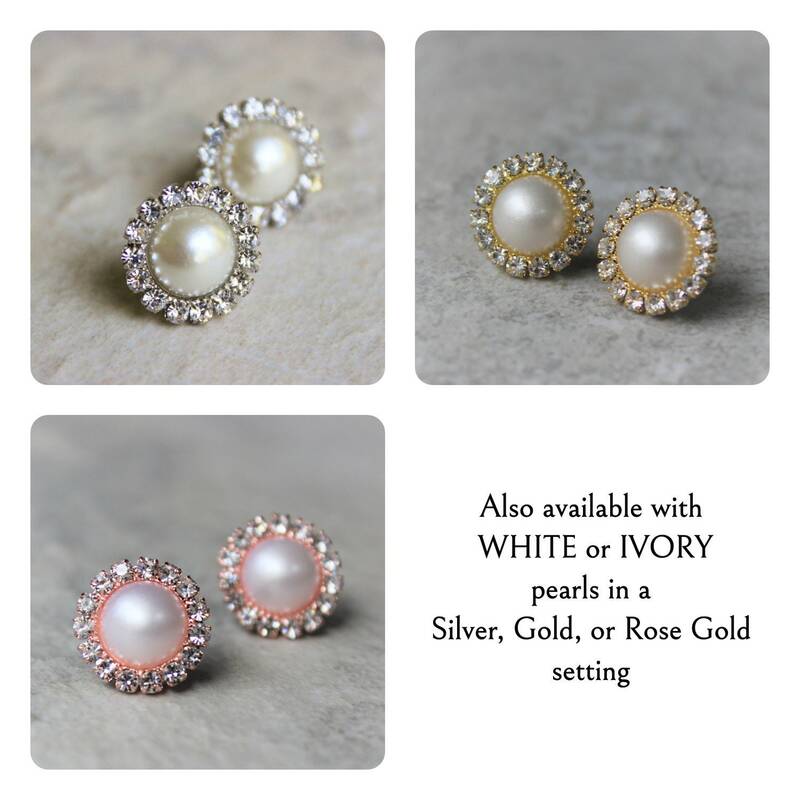 They have hypoallergenic earring posts.